The fan-favorite Zombies Mode will be returning in Call of Duty: Infinite Warfare. This time, the game will be taking players back in time to the 1980s. Zombies in Spaceland is an original storyline where players will fight as one of four 80s action movie archetypes: the jock, voiced by Ike Barinholts (Neighbors, Suicide Squad), the valley girl, voiced by Sasheer Zamata (Saturday Night Live, Inside Amy Schumer), the rapper, voiced by Jay Pharoah (Saturday Night Live, Ride Along) and Seth Green (Family Guy, Austin Powers). Zombies in Spaceland takes place in a theme park overrun with zombies. The four player characters are aspiring actors who went to a mysterious movie theater for an audition when they’re transformed into horror film characters. Inside the film, the players come into contact with the enigmatic DJ, who is voiced by and modeled after David Hasselhoff (Knight Rider, Baywatch), who will become a valuable resource to the players as they fight to escape. This info is coming in on the heels of Call of Duty XP, a huge event where fans gather in-person and online to celebrate one of the gaming world’s biggest series. From today through September 4, attendees will have the chance to be part of amazing events including the Call of Duty World League Championship and the world premiere of Call of Duty: Infinite Warfare’s multiplayer mode. The regular multiplayer for Call of Duty: Infinite Warfare gives an unprecedented amount of customization options to players. One of the new systems is combat rigs (or Rigs, for short). Each Rig is focused on a specific style of play, from guerilla tactics, to sniper stealth to mobile mid-range. 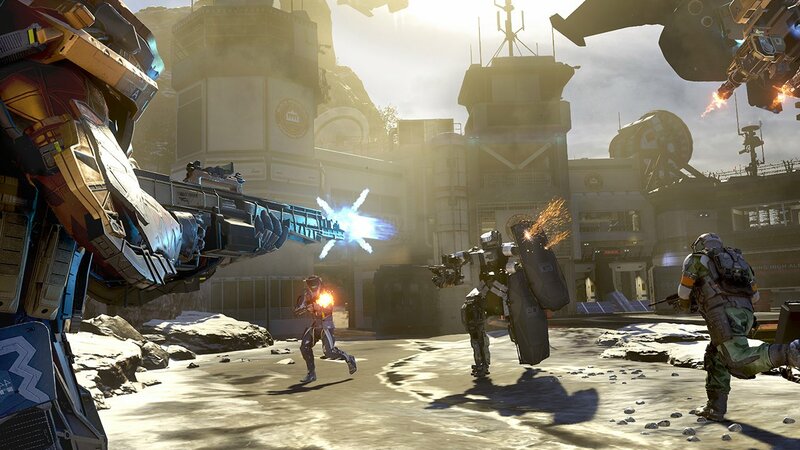 Players can customize the Rigs with different loadouts, Payloads (powerful weapons and abilities)and Traits (persistent, overcharged enhancements and abilities recharged every few seconds). The Rig system allows for a deeper level of strategy and optimization for a gamer’s preferred way to play. In Call of Duty: Infinite Warfare, players will also get the chance to level up and earn exclusive rewards and content by joining Mission Teams. There are four unique Mission Teams, which players choose from based on their playstyle and skill level. Each team has its own personality, challenges and commander that will help players reach their objective.